What’s Your Price To Stop Freelancing? Typically income is not one’s primary motivation for becoming a freelancer. Independence, freedom, flexibility, sense of purpose, and other personal values are reported as the most common reasons, according to a report by the Freelancers Union. From my experience, these values are difficult for non-freelancers to comprehend. For example, my love has a salaried job in engineering and has no interest in mixing things he enjoys, like his fantastic photography, with money. If I see a well-known company with an open copy writing position, he wants to know why I don’t pursue it if it offers more money than what I’m making. $10,000 more per year? My freedom is worth more than that. $20,000 more? I’m still not interested. When you are making enough to cover living expenses, save for retirement, and travel–why bother undermining your values to leave the freelance life? Then he asks me: What if the job paid double? This week I received Contently’s newsletter with a piece titled “What Company Would Make You Want to Give Up Freelancing?” The piece includes results of a survey by Working Not Working where 500 freelancers were asked only that question. (Remember I wrote a piece for Contently’s Freelance Strategist?) 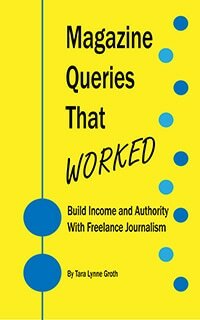 I find it a little confusing that WNW’s survey reported 80% of freelancers would revert to 9-to-5 if offered a job at their dream company, while Freelancers Union just-as-recently surveyed 1,100 freelancers nationally and found, “Nearly 9 in 10 independent workers (88%) would keep freelancing even if they were offered a full-time job.” Conflicting information, no? I’d like to see the results of WNW’s survey if it were a multi-question survey. Did they poll 500 novice struggling freelancers? Were they all full-time? Were they supporting themselves or a family? I just finished half-year accounting and found a few graph features when playing around with QuickBooks. I’ve removed the numbers for confidentiality purposes, but the chart speaks for itself. Year after year my freelancing business has grown. Look–by July of this year I’ve made the same amount that I did the entire year of 2012! If I were working for someone else, how could I have ever known this was possible? Halfway through 2014 and will likely beat last year’s numbers. So what about my answer? Which company would have to offer me a job for me to leave freelancing? Right on! I came upon this freelance career in the opposite way you did. Other than working retail, it was my only option at the time, so it was a last resort. But here I am three years later with no intention of giving it up. I love the flexibility and freedom it affords me. I also love the satisfaction I draw from the completely creative side of this business, such as blogging and dreaming up new story ideas for clients. I think that, even if I did end up working full time for an institution other than my own, I’d try to find a way to keep the freelance gig going. It’s just so personally satisfying. And if you want to add my answer to an informal survey, money wasn’t, and probably never will be, a motivating factor in my decision. My income has increased incrementally over the past few years, but not enough to do more than add a helping income to a dual-income household. This is also the second time I’ve freelanced through a life change. Eight years ago, when I was single and supporting myself (and the magazine I worked for folded), freelancing became a great way to keep my head in the game. I still had to wait tables full time to pay the bills, but I was so happy to have writing work on the side. So while it didn’t provide me a living income, it did give me a way to continue to develop my career. I love hearing others’ stories of how they got started freelancing because, honestly, there is no one path. Some do it out of necessity, others out of luck or serendipity and still others out of pure desire. However they get here, it’s always an interesting tale. You’re right, each freelancer I meet has a very different path. Freelancing just seems to make the most sense in most people’s lives because it is so flexible. I enjoy following your blog–and with your travels and relocation you show just how flexible! I’ve been reminded recently how soul-crushing non-freelance jobs can be. After so many years running everything for oneself, you become detached from how things used to be. I’m sure you can look back to your magazine days and remember an annoyance or two…but I was talking with non-freelancing friends who absolutely hate their jobs and they truly feel there is no way out. They have simply come to accept they will never have career satisfaction – that it doesn’t exist. With freelancing–there is that on-the-side factor that I think more people would find satisfaction with. But then I forget not everyone is a writer and the thought of writing more than a text makes them groan! I have to encourage you to hold out! You are a fantastic writer and can build your income up to $40K and then some. The ‘Desperation Mode’ should be switched between you and your clients–they should be desperate to have YOU! Thanks! That is so encouraging. I’m still “day job” engaged, thankfully for many reasons. One is it allows for my freelancing…last month: $30.00 profit. But haven’t pushed hard for many reasons. No job I would interview for would offer near enough as my current, so I’m happy as I am. But in 2 years, when I’m forced to retire, I’d give anything over $50 K a second glance…but probably still say no thanks…as I’ll be freelancing a whole lot more. You have to start somewhere. 🙂 Definitely milk your current job for what it is worth while you grow the freelance side. Slow changes now get bigger down the road.